We’ve packed our Freedom Train cars with plenty of fun features. 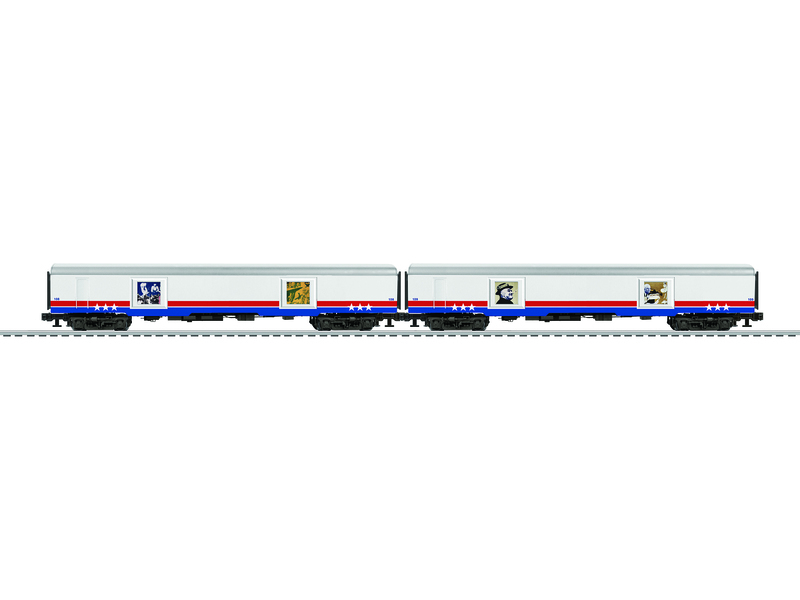 The power car features a generator sound which can be turned on when your train is on display. Exhibit cars feature backlit shadowbox panels in the converted baggage car doors. For the ultimate experience, the sound-equipped crew car features the rhythm of the rails as it rolls long and plays welcome messages for your patrons, patriotic music and sound clips to ensure this train is the main attraction on your layout even when stopped for display down by the station.